Planning on using what’s left of the summer to go on an awesome road trip? Before you set off there are a few things that everyone should know to have the best and safest trip possible. Our smart road trip tips can save you time, your sanity, and even your life. If you are traveling with young children on any trip longer than a couple hours then do yourself and any other adult passengers you might be traveling with a favor and get a portable DVD player. The clichéd question of “Are we there yet?” is a power weapon of annoyance that young children have employed for years on long road trips. If you have a portable DVD player though any young passengers will be too engaged with the in-vehicle entertainment to try to drive the adults crazy with pointless questions. While each season is unique, summer and winter can be especially complicated to navigate. Depending on where and when you are traveling it can get really hot or really cold. 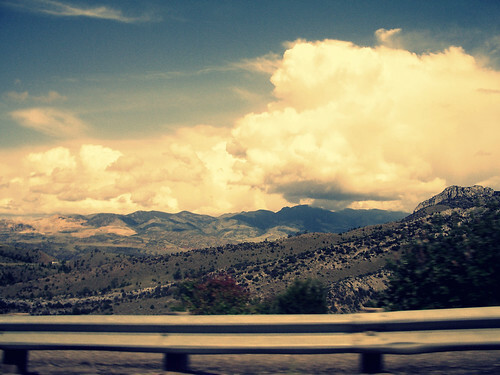 One the most important factors to consider when planning a road trip is the climate. 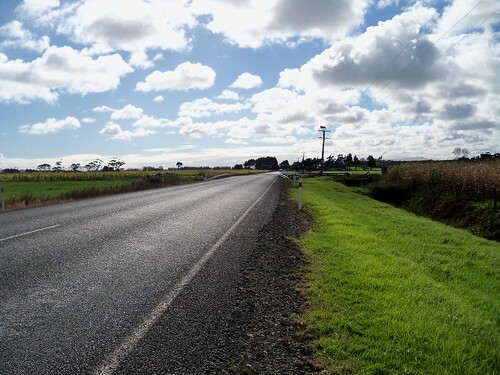 Before you start your road trip consider the weather conditions you might encounter along the way; try to get the weather forecast of both your origin and destination so you know what to expect. Some places in the United States are extremely hot during the summer such as Nevada, New Mexico, and Arizona were summer temperatures can exceed 100 degrees Fahrenheit. While other locales are prone to severe weather like blizzards and heavy rain during the winter. If you happen to be driving to or from a state known for its extreme summer heat then it’s best to avoid traveling during the afternoon when the temperature peaks, if possible. In the winter, some states are prone to blizzards or thick fog which can make driving a living nightmare. If you think that area you might be driving to will have little visibility because of fog then see if you can find out what time the fog usually dissipates. Fog can roll in pretty abruptly in some areas, but luckily it usually doesn’t last for long during the day. The one thing that can turn peaceful travelers against one another and ruin an otherwise perfect road trip is heavy traffic. Even the best road trip can feel like torture after spending more than an hour stuck in traffic. However, if you are traveling with multiple people then you can sometimes avoid getting stuck in rush hour traffic by traveling in the high occupancy (HOV) or carpool lanes; however, most carpool lanes are only found on highways deep within city limits and in some cases rush hour traffic can extend for miles before a carpool lane appears. During these times the highways will usually be very busy, but in the summer many roads will be less congested. No one expects their car to break down during a road trip but just in case it does then it is important to be prepared. Regardless of season if you’re going on a road trip it’s always smart to pack at least one gallon of water for the vehicle and for each traveler in case of emergencies. Why pack a gallon of water for the car, though? Well that extra gallon of water could be just what your car needs if it starts to overheat on a long road trip. You can use a spare gallon of water for car emergencies or for general accidents like cleaning up a food spill. Aside from water, it’s important to an emergency food supply too. Emergency food rations known as MRE’s(Meals Ready to Eat), which the military uses, are useful and quickly gaining popularity among average consumers because of the product’s long shelf life and the fact that it usually contains many of the nutrients that a person needs in a day. But if you want to avoid some of the more common car breakdown then try to remember to always check your vehicle’s wheels and tires before enduring any long road trips. If your car breaks down in an area where you can use your cell phone just relax and remember that every car is essentially filled with parts that can be used as improvised emergency tools. An interior or exterior mirror, for instance, can be used as an improvised signal mirror. And on a perfect day a signal mirror can be seen for over 100 miles away. If you want to read more tips that are useful for road trips then take a look at our other post on summer cars safety for more road trip tips as well.